The Federal University of Juiz de Fora (UFJF) offers approximately 4,600 seats for students per year in 93 classroom and distance courses on its two campuses, Juiz de Fora and Governador Valadares, offered in bachelor’s and degree modes, either as full time or evening courses in all major areas of knowledge. Recognized nationally and internationally for the quality of education, the under-graduation courses at UFJF are among the eight best in Brazil, according to the General Index of Courses, published in 2015 by the Ministry of Education (MEC).Most courses have achieved grade five or four, the highest ones in the National Examination of Student Performance (Enade/MEC). These results show the permanent search of the institution for quality in multi and interdisciplinary training of professionals, based on principles that encourage the autonomy of the student, the ethical value, social responsibility and the constant updating of the academic curriculum. In order to do that 93% of UFJF’s faculty holds a doctoral or master’s degree, and the university has new and expanded educational infrastructure, comprising laboratories and libraries, research projects, and extension and vocational training, allowing a more solid and diverse training for over 17,400 undergraduate students from the classroom and distance courses.For the student to remain in school, the institution offers student support grants according to the student’s socioeconomic status.The student also has the opportunity to apply for positions in national and international student exchange programs and internships and to participate in scientific events. 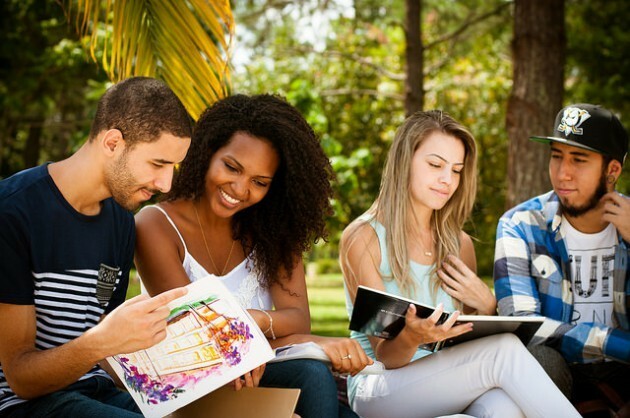 Learn how to study at UFJF.